Merrilee Beckman of Iowa City, Iowa, wrote the following after viewing Yearning to Breathe Free blog entries. I found her information on cultural diasporas in today’s world so helpful that I asked for approval to post her thoughts as a blog entry. She attributes many of her thoughts to the writings of Jeremy Rifkin, author and social thinker. I know the Burmese focused on here were pushed out of their country by a vicious military who have no moral qualms about the death of their own people. 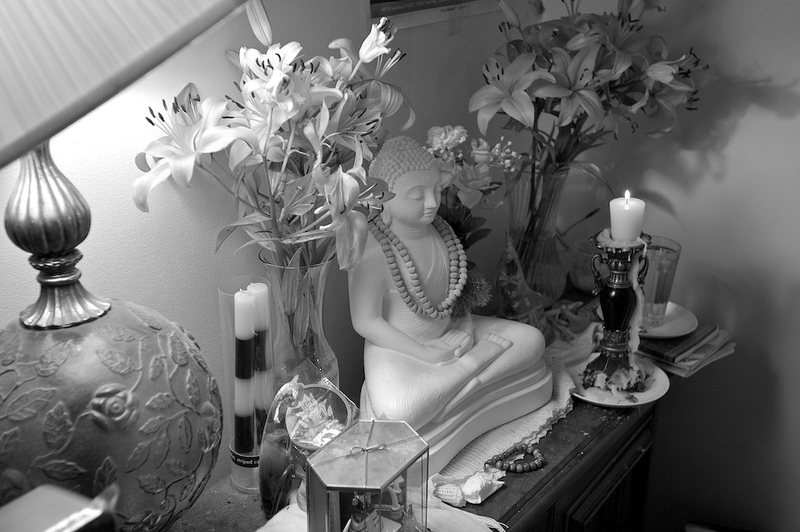 They are a people with a powerful sense of communal and religious identity. It used to be that immigrants to our country assimilated fairly quickly. Most of them were more than ready to leave their pasts behind and become Americans. The whole idea of ‘starting over’ was part of the American Dream. Today it is so different. The entire world is experiencing a great migration upheaval. 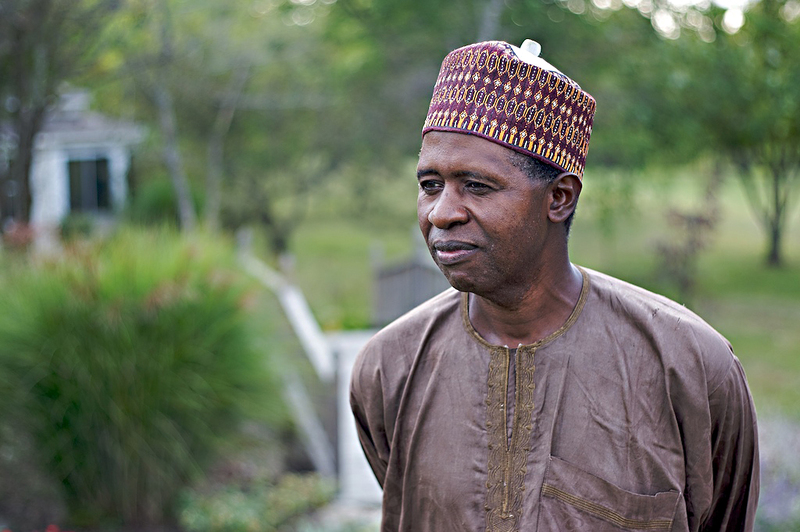 Isa Lawan Dambazan, born in Nigeria in 1964, keeps one foot in Nigeria and one in Fort Wayne, Indiana, because he has family in both places. © 2009 John Gevers. Millions of humans are in transit each year, and these immigrants bring their culture with them, existing in tight knit communities that keep their cultures intact abroad. Immigrants always did this to some extent but it’s different now because of all our communications technology allowing people to be in two worlds at once. In the past you’d migrate to a country to stay. You’d write letters home but they took so long that it was hard to keep contact with family and friends in the old country. The old cultural ways stayed alive for awhile but inevitably faded. Today an immigrant can use the Internet and cell phones to make contact with relatives left behind both constantly and instantly. Cultures are becoming de-territorialized and mobile in a way that couldn’t be conceived before. They are no longer bound by geography. A cultural diaspora in Fort Wayne, Indiana. © 2009 John Gevers. Cultures are becoming transnational and global, and cultural diasporas have split loyalties and allegiances in a way they didn’t before. Many of the immigrants are poor, discrimminated against, jobless, and living in squalid conditions in what amounts to ghettos, and because they stick to themselves they are often regarded with suspicion and fear. And, of course, when the economy is suffering it’s feared they’ll ‘steal’ valuable jobs from the rest of us. The vast majority of all these immigrants are peaceful, law-abiding citizens. 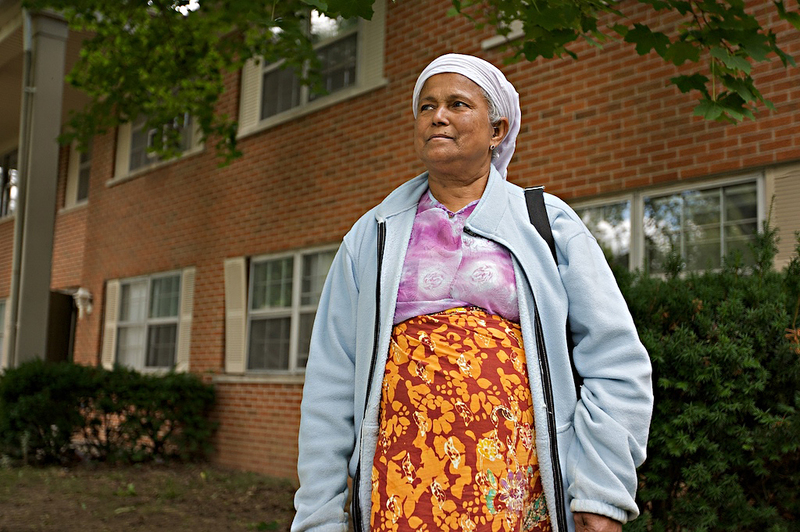 A Burmese refugee who is now resettled into an apartment complex in Fort Wayne, Indiana. © 2009 John Gevers. For centuries, a people and culture were inseparable from their property and territory. No longer. Again, sophisticated communication and transportation technologies now allow cultures to stay linked socially across myriad national boundaries. You can see why people like these gentle Burmese need to retain a cultural diaspora in our midst. It gives them a way to keep their sense of identity while negotiating their way in a radically strange, new world. The Burmese in Fort Wayne are one node in a whole postnational network of diaspora going on today. They hold onto their cultural identity as a way to be “both here and there.” Cultural diasporas are increasingly living in multiple places with multiple loyalties, and it’s the job of their host countries to find ways to help them interact across traditional boundaries. Having lost the comfort of their geographical boundaries, they must now discover a way to bond with those of their host culture in a way that will draw them into a real community. How to find a new shared purpose that is as powerful as the bond of their cultural identity? For them, and for us. 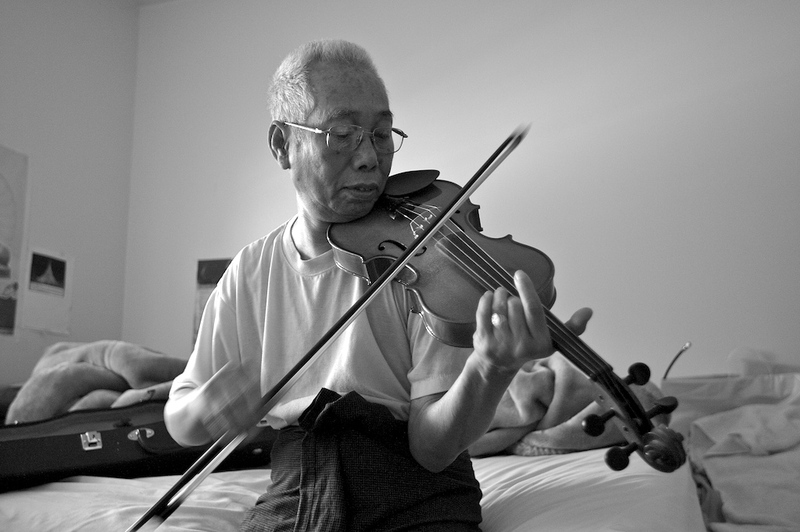 From Burma, a refugee resettled in Indiana, maintaining homeland tradition. © 2009 John Gevers. 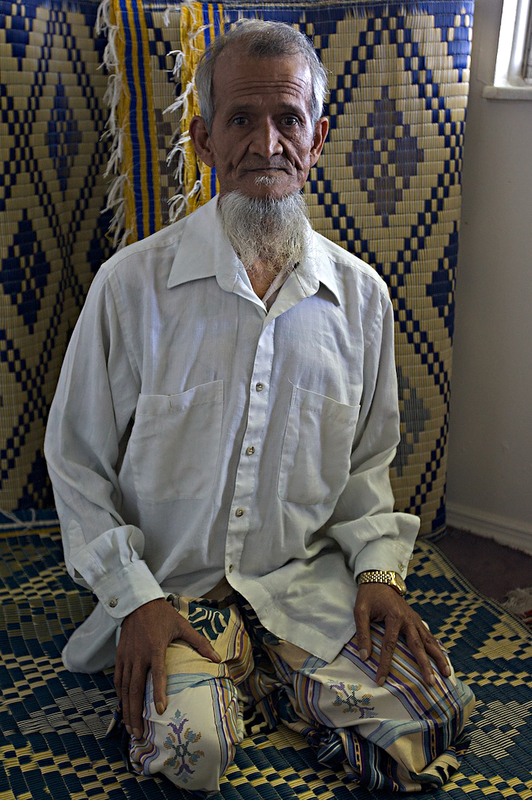 One of the biggest differences between people like the Somalians in Minneapolis or the Burmese in Fort Wayne is that in modern Western societies there is a highly honed individuality and fewer gender differences/roles. Both men and women here engage in all kinds of activities that aren’t permitted by tradition-bound, communal cultures. But when individuals (that’s us) have a shared sense of meaning and undertake a cooperative effort to achieve a common goal, then the “us-them” divisions tend to disappear, and those cooperating in the common endeavor blend into a single “us-group.” Those who were “them” become part of “us.” All stereotypes and prejudices are based on “us-them.” So we have to find a shared sense of meaning. We have to find opportunities to simply mingle with one another. That gives us chances to recognize our common humanity. Mother and child from Burma. © 2009 John Gevers. Contact is essential — interacting as social equals, the way you did when you went to take the pictures posted here. Empathy is the crucial ingredient for an “us-us” perspective where we can see them involved in the same kind of human activities, showing the same basic human emotions, we have. That’s what your photos in Yearning to Breathe Free do for a wider audience. They creatively turn strangers into “us.” You can see their peaceful culture reflected in their faces and in the courtesy they extend. The power of these beautiful photos takes away the fear of knowing there is a group of foreign immigrants living “near us,” and actually makes you want to meet some of them and get to know them better. Great question! This deserves its own post in addition to being answered on the FAQ page. Many people don’t see a distinction, however there is a significant distinction resulting from the fact that immigrants have a choice and refugees don’t. Immigrants freely choose to retain or reject citizenship of their homeland whereas refugees are forced to flee their country of origin to save their lives. Although a refugee is still legally a citizen of the country he or she flees, technically it means very little because their homeland affords them no protection, a central concept of citizenship. Understanding this helps USA-born Americans distinguish the refugee resettlement issue from however they might feel about immigration policy in general, much less illegal immigration. Having said that, what’s good for refugees is often good for immigrants—particularly if the immigrant is seeking political asylum. So there is common ground between the two when the immigrant is a political asylee as opposed to someone with some means simply trying to better his or her economic situation in America. — Joe Johns is director of Missional Living at Fellowship Missionary Church and a board member of The Reclamation Project, both in Fort Wayne, Indiana. The free Flash Player is required to play the video above. http://get.adobe.com/flashplayer/otherversions/ For those unable to view the video, a transcription appears below. Daung Nwe Aye is a 16-year-old Burmese refugee who was born in a refugee camp on the Thai-Burma border after her parents fled Burma and its oppressive military rulers. Daung was three years old when her mother and father and their two children were granted admission to the United States. They settled in Fort Wayne, Indiana. Daung with her parents and a harvest from their garden. Technically a second generation refugee/immigrant, Daung shows in this 11-minute video interview how quickly a refugee can assimilate into a new culture, including picking up “teen speak.” She talks about her family and friends, the importance of her Muslim faith, how she finds high school in America as a non-native-born citizen, about her home countries, and she tells of her aspirations. She wants to become an OBGYN physician, and we think she will achieve that. And much more. DNA: (My name is) Daung New Aye [do ang • n’way • ee]. JG: How old were you when you came to the United States? DNA: When I came here, I was three-and-a-half. I was born in Thailand, and, um, I lived in a camp for a little while. Currently, I’m attending school to get my diploma so I could go to college and go to med school. I want to become an OBGYN (physician). I love children, and I want to, like, help them — help woman and help childrens come into the world. JG: And where do you go to high school here in Fort Wayne? DNA: I go to Northrop High School. I like it a lot. My best friends are, like, um, Vietnamese and there’s Malaysian and I have a lot of Burmese friends. In the United States, we have the right of freedom of speech and religion. I’m a Muslim which means my religion is Islam, and, like, I really care about my religion. Like, I don’t wear a hijab (head covering) and I don’t pray five times a day, but, like, I remember who I am and, like, I still have dignity about myself, you know? It’s Ramadan right now, and I’m fasting; I try to fast every day. I wake up before the sun comes up and I eat and drink water so I stay hydrated during the day, and then, um, (when) I have to stop my fast, I say this prayer. And then, so like, for the rest of the day I can’t eat or drink or, like, it’s even bad to fight with my little brother or fight with anyone, you know, it’s not good. I can eat when the sun goes down. JG: Let me make sure I understand, so: You wake up before the sun comes up and you can eat a little bit and drink at that time? JG: And then the sun comes up and then no food and you try to be good and not argue or what have you for the whole day. And then when the sun goes down, you can have a regular meal again? JG: Okay. And how often do you do that during Ramadan? DNA: Um, for all thirty days or, like, as many days as you can. JG: Okay, and I’ve heard there are parties at Franke Park during this time? JG: Yeah, have you heard of those? DNA: (still chuckling) Yes. Those days are the best because it’s the end of the month, and there’s like a feast and all the Muslims, well almost all the Muslims, um, gather at that place and we all pray and then we all eat. And all the kids have new clothes and so do the adults. And, like, the little kids – if you go around and say, “Salaam — — Ead,” the adults will give you a treat or, like, a few dollars because you were good. JG: You’re living in Indiana. Do you like it here? DNA: I like Indiana because it’s, like, a very good place for families to grow up and live, but I also like to, like, go to New York City and to the beach and places like that. JG: It’s a really Christian area (Indiana). The majority of people are Christian. Does that cause you any problems or do you find that people let you live just like you let them live? DNA: I can live like I live, like, sometimes in school, like there are kids who, like, are biased or racist, and they’ll say things like, “Ha! You’re a terrorist” or, you know, “You’re Asian!” And so, like, sometimes it hurts me, but I just forget about it cause I still know who I am and, like, I shouldn’t – I know better than to let their words hurt me. JG: Have you always felt that way or has it become easier as you’ve gotten older? DNA: It’s become easier as I got older. With my rights as living in the United States I’ve got freedom of religion, freedom of speech, freedom to live how I want to, and the people, they can come here and they can live how they want to. The new people (refugees and immigrants) they can go out and go to school, have an education if they try hard, but, I think, for the people that’s already living in the United States, it’s for them to make the new people feel welcome and feel like – even if you don’t like them, like don’t say mean things to their faces or like snicker at them when they walk by. JG: Do you have any desire to go back to Thailand or to Burma to visit? DNA: I really want to go to Thailand and Burma. I want to, like, visit all the cities, like, even the countryside, the cities. Especially like the places I lived in and the places my parents met and where they lived in. 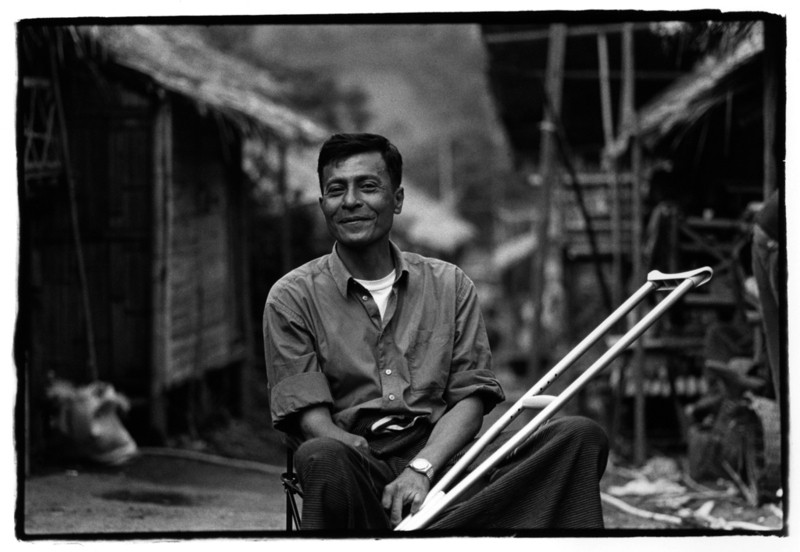 JG: What do you think about all that’s going on in Burma right now? DNA: I think it’s . . . I don’t know what to do, like . . . . I think it’s really bad and I wish . . . I wish that even if it’s not like in this generation, in the future generations – even if my parents don’t get to see it – that Burma becomes free and, like, the people that ran away, the students, they could go back in Burma and not be shot or arrested. I volunteer a lot and my parents, um, both of my parents are in the Committee of the Burmese Muslim community. So, like, if there’s an event going on, I’ll go and, um, I’ll go help and interpret. English is really easy for me. JG: Do you have any ideas as a young person as you are, when you see the new refugees from Burma coming to Fort Wayne, Indiana, and you see them in their apartments – I’m sure you’ve visited them – do you have any ideas of how our society could help them more than we already are? DNA: Our society could help them more by helping them learn English, and we are; it’s just giving them reasons why to learn. Many of them understand that, like, it’s very important to learn English, to pay your bills – the electricity bill, the water bill, everything – and then, if you want to work, you have to learn how to speak English so, like you could pay for all that. JG: So trying to get them to know the importance of the language is one thing. Is there anything else? 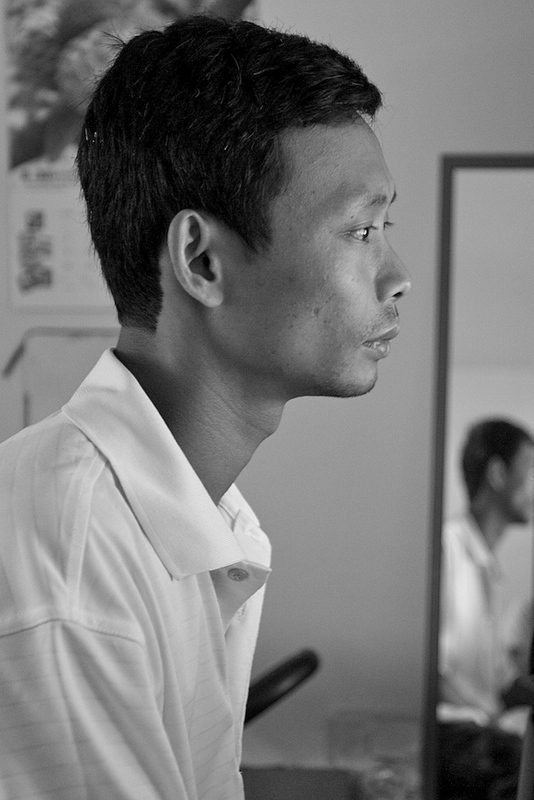 DNA: Many kids that grew up here – even the Burmese kids – are very different from the new . . . the new kids. DNA: Like some of the girls here, they just stay home and clean and they can’t leave the house unless it’s to go shopping and – like grocery shopping – not to hang out with friends that much. And, like, I don’t want to influence them in a bad way, but I want to, like, just hang out with them, and, like, to see what it’s like to, like, be with other people, other races. Because when you like . . . it’s just like going back to kindergarten: it doesn’t matter about what race you are or, like, how old you are, where you came from, because you just meet someone and you act like you’re best friend. JG: And why aren’t the girls that are coming over with the families recently from Burma . . . why aren’t they allowed to go out very much? DNA: I’m guessing it’s because where they lived back in Thailand (in the refugee camps), it was like that. Like, girls didn’t get to do . . . girls didn’t get to have as much freedom as the boys did. DNA: Yeah, that is tradition. JG: Is that heavily influenced by the Islamic faith, do you think? Or would that be even in the Buddhist families? Do you have any idea? DNA: Yeah, Buddhist and Islamic faiths. I try not to call the refugees, like “refugees” because I’m afraid, like, especially in front of them, I don’t want them to feel like they’re lower than me. Or like somebody will ask me, “How long have you lived in the United States?” (I reply,) “Oh, I’ve been here since I was three – eleven, ten years.” And they’re like, “Oh, really? You must know a lot of English; we don’t know anything.” I don’t want them to feel like they can’t learn and they can’t try hard to fit in here. JG: And do you think that by calling them “refugee” it puts them in a different, ah, class, different category? JG: I see. And do you think that my calling somebody a refugee does the same thing or is it because you’re also Burmese and . 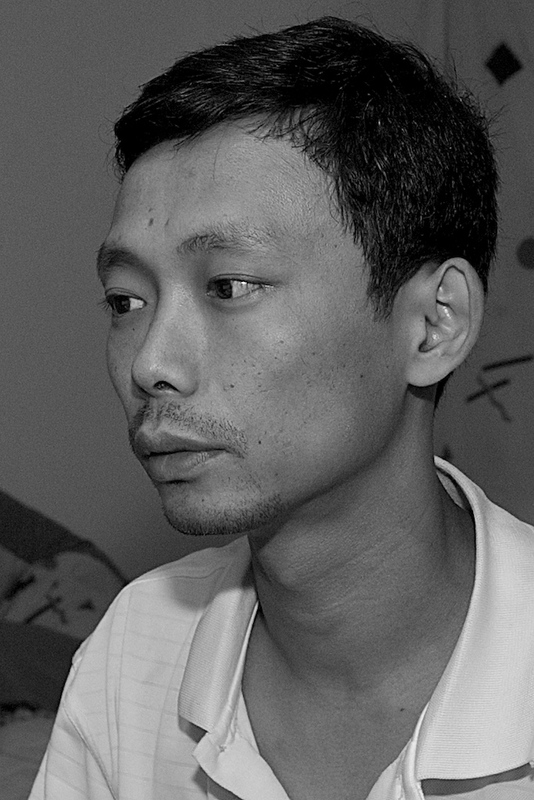 . .
DNA: I’m a refugee myself and I fled Thailand and Burma with my parents. JG: What would you say to an American, a native-born American, who doesn’t think that refugees and other immigrants should keep coming to the United States? DNA: Like even though the refugees come here and they have to live off food stamps and cash money (assistance) for a while, they don’t get as much money to . . . some people only get $48 a month for, like, a family of six people, but over there it’s even worse. They don’t get to eat meat or the vegetations. Some people are really malnourished over there and they’re punished. Even in Thailand, I think they’re like discriminated (against), too., because the people from Burma came into Thailand, and they’re kind of illegal. JG: Are you happy here? DNA: I’m happy here. I get to live in a nice house and my parents care about me. They care about, um, my brother’s and my education a lot. Like, they don’t want to see us – well, I don’t think any parents want to see their kids fail or be bad, but I’m like really thankful that my parents work really hard for us to live like this. JG: What about the rest of your life? Do you allow yourself to think ahead and think what you want? DNA: Yeah, I always think about what I want. Um, I think about . . . I can see myself, um, coming to visit my parents all the time. Um, like always seeing my family on the weekends. Um, I plan on getting married with my parents approval when I’m older, like when I’m able to have a good life, and financially stable to have a family.